When The Master actor Philip Seymour Hoffman died of an apparent drug overdose earlier this year, the fate of the actor’s planned Showtime series Happyish was suddenly thrown up in the air. Though the network had ordered the half-hour comedy to series back in April, the entire show and the filmed pilot were based around Hoffman’s performance. With his death, it seemed for a time that Happyish would simply be swept under the rug. 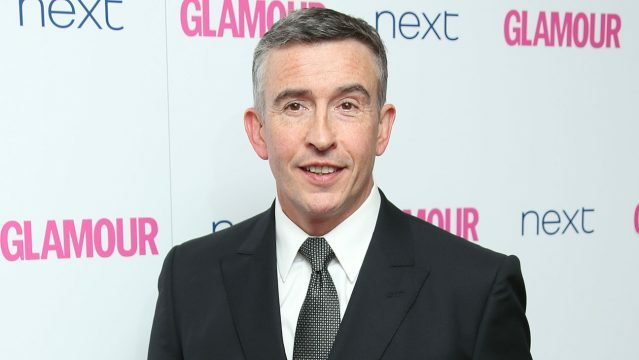 Now, however, Showtime has announced a replacement to lead the series – Philomena star Steve Coogan. With the Oscar and Golden Globe nominee on board, Happyish will shoot a new pilot in New York this December. If all goes well, Showtime will then order nine additional episodes to complete the show’s first season. Currently, Happyish is in the process of being written, and it will have to be somewhat reworked to accommodate Coogan. Additionally, it’s unclear whether any of the previous series stars will return. When Hoffman was involved, he was set to star as 42-year-old Thom Payne, who struggles to come to terms with a workplace where all his bosses are half his age. His mentor and boss, Jonathan (Rhys Ifans) advises him to “rebrand” himself; his corporate headhunter tells him happiness is a myth; and Thom isn’t sure if his Viagra will interfere with his Prozac, or vice versa. Kathryn Hahn starred as Payne’s wife. The creators of Happyish once described it as “a blistering attack on our youth-obsessed culture and a darkly comic examination of what it means to matter.” Especially with the sardonic Coogan front and center, it certainly sounds like a worthy addition to Showtime’s stellar lineup of tart, mature comedies, which already includes Nurse Jackie, Shameless, Episodes, Web Therapy and House of Lies. Tell us, are you excited to see Happyish moving forward at Showtime? Sound off below!